The crew's love for the Captain takes a toll with romantic rivalry between Violet and Victoria. A relatively small map (5 x 5) of average difficulty. 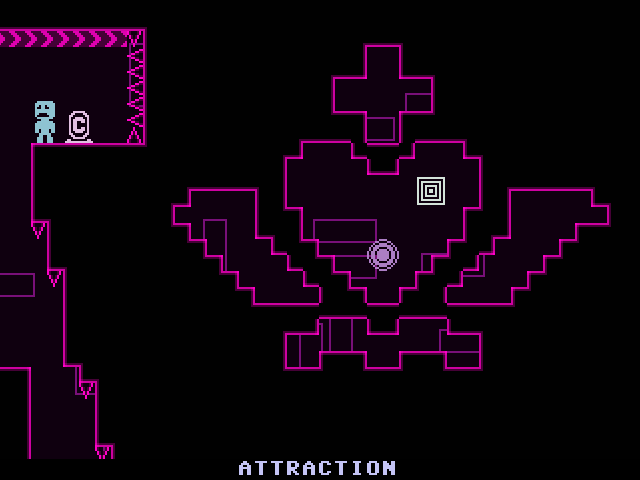 It has some basic scripting to implement a gate where trinkets are required. There are two crew members to find and their speech is a little different depending on who you find first. Making this level has been quite a fun and pleasing experience - for somebody who doesn't normally enjoy level design or content creation... Yay! Viridian isn't always as sad as in these screenshots! I've heard of downloads where the page IS the level, but this one doesn't even have a page. EDIT: Eh, must be my laptop. I'll try it on my desktop and see. 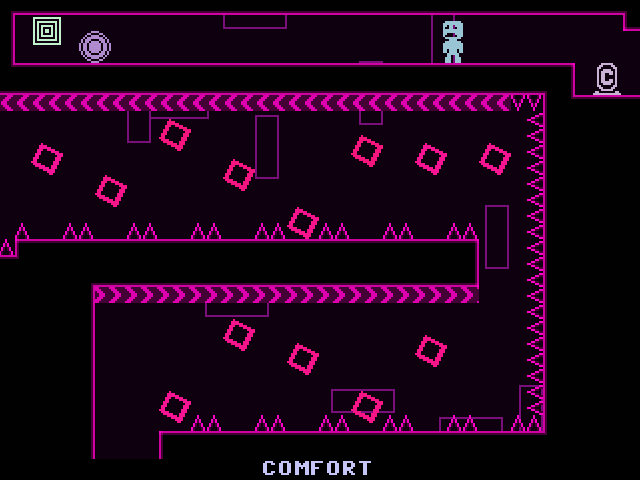 Good level, but on "The V Gate", if you try to go back up where you came in, you get stuck in the wall. Might wanna fix that. That gives Viridian a real reason to frown. It's hard to find the time to fix, but I'll see if I can do it this weekend. There are a lot of concepts that I'm happy with in this level, but there is also a lot of "i don't know what to create" filler. Hopefully next time I'll make something more congruent and fluid. IT's an unusual level to say the least, but it's in a good way. Nice work. Good level, have you made any more Gwinell?